This most famous canal was opened in 1806 to provide a direct route between the River Thames and the Oxford Canal at Braunston. With many outstanding engineering features, the Canal has many sections which provide one week or short break routes through a rolling countryside of stone villages with excellent pubs. From Braunston in the north the wide Grand Union Canal passes through Weedon village, noted for its antique shops, and on to Gayton junction. This very rural route has two tunnels including Blisworth Tunnel (3056 yards, the longest in England) en route to the canal village of Stoke Bruerne and its Waterways Museum. From Stoke Bruerne locks the canal winds its way through delightful countryside, crossing the iron trough aqueduct at Cosgrove to Milton Keynes, a new town with canalside parks and floodlit church. South of Milton Keynes is the famous canalside Globe Inn near to the market town of Leighton Buzzard. The above route can be taken from a number of bases as a one week return trip: 96 miles, about 45 hours, 54 locks. Short breaks can be taken on sections of the above. From Leighton Buzzard pass the nature reserves at Marsworth village, and optionally take the Aylesbury branch the 6 miles to Aylesbury where you can moor close to the market town's centre. The canal then climbs through Tring to Cowroast before reaching Berkhamstead close to the old castle and leisure parks. There are more locks as you cross the Chiltern Hills, then through the woods of Cassiobury Park and down through the Colne Valley nature reserve to Croxley Green. The above route can be taken as a one week return trip: 62 miles, about 45 hours, 110 locks. Short breaks can be taken on sections of the above. In a longer break extend the above to the centre of London. Moor at Little Venice close to the sights of London, or through Regents Park and Zoo to Camden Lock with its famous market. (See London Ring Guide). 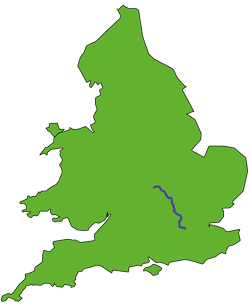 Routes in the northern end of the Grand Union Canal can be extended down the Oxford Canal towards Oxford. (See Oxford Canal Guide). Out-and-back trips and short breaks are available.